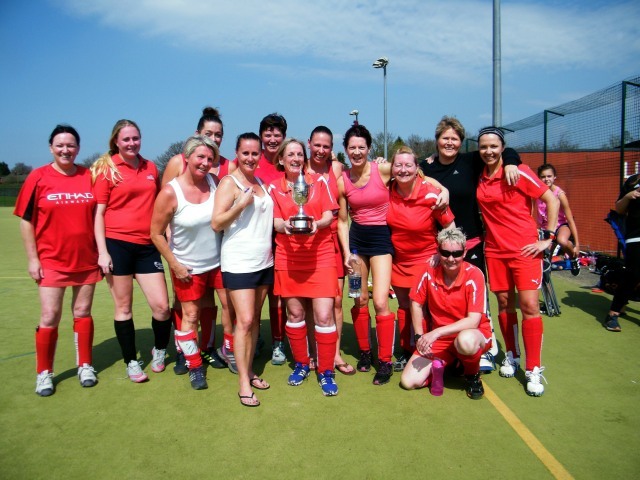 The BSF Ladies Hockey League held their annual presentation last Friday. They had only finished the season the week before playing the final of the hospital cup due to problems with the weather. Little Lever A were successful in the Hospital Cup against County A. who scored the first goal but Little Lever responded very quickly to make it level at full time and having to go into extra time. Little Lever A scored two in extra time to take the cup 3-1. Seddons have had a very good year winning the league and a further two cups, the Carol Ainscow Memorial Trophy and the Cleworth Cup. The league was very close this year with Little Lever A losing out on goal difference and finishing second to Seddons. Roydon A were the winners of the Steele Cup this year and took it from the holders Little Lever A.
Eagley Quins had a good season, finishing 3rd in on the league table and the winners of both the Davenport Cup and the Carol Ainscow Memorial Cup for the B section. This year, it was bottom of the table Little Lever B who were victorious in winning the Reynolds Cowell Shield. Bury took the Nuttall Shield as winners of the B section with Eagley Tornadoes as runners up. The Phyllis Anderton Shield for the most sporting team of the A section went to County Ladies A with the LD Baker being awarded to Little Lever B. County Ladies as a club were awarded the prestigious Crystal Award for their contribution to the development of hockey in the league. Player of the season was Amy Phillpotts from County A, with W Horan and N Dickenson from Little Lever A a close second. Chairperson Viv Makin thanked the guest presenter, Mark Evans a volunteer from The National Hockey museum for his talk about the research he does and for presenting the trophies. Mark stated the Mitton Challenge Shield, found in a loft two years ago and was from the Farnworth League, is now on display at the museum. The AGM will be held at Bolton Cricket Club on the 2nd of August. Next season will start with an open day at Canon Slade to welcome new or back to hockey players to the league. 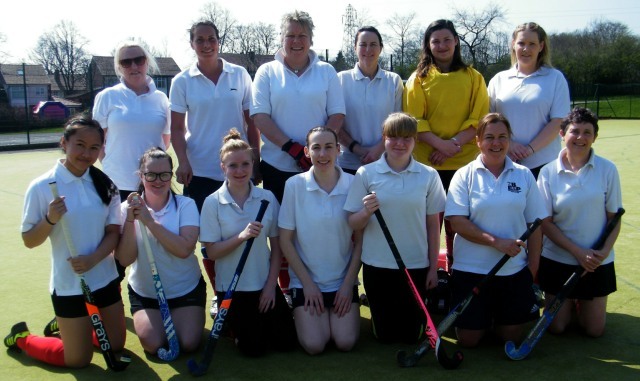 The sun shone for BSF Ladies’ Hockey League Steele Cup final in which Roydon A played Little Lever A, the cup holders for last year. The first half was an equal game with Roydon A breaking and into the Little Lever defence and had 3 penalty corners but no goals. Jackie Walton for Roydon A managed to give them the lead after 12 minutes. Little Lever answered that within a minute to level the score with a goal from Chloe Murphy after a rebound from the post. The second half was a different game, with Roydon playing a more open game, putting pressure constantly on the Little Lever defence and causing a number of penalty corners. A goal came from Vickie Hill to take the lead then Jackie Walton scored to win 3-1. Winners of the Steele Cup, first contested in 1922 are Roydon A team. Next up was the Davenport Cup final was between two Eagley teams, Eagley Quins and Eagley Tornadoes. Both teams were short of players, however, Eagley Tornadoes were under constant pressure but the Tornadoes keeper made some amazing saves. 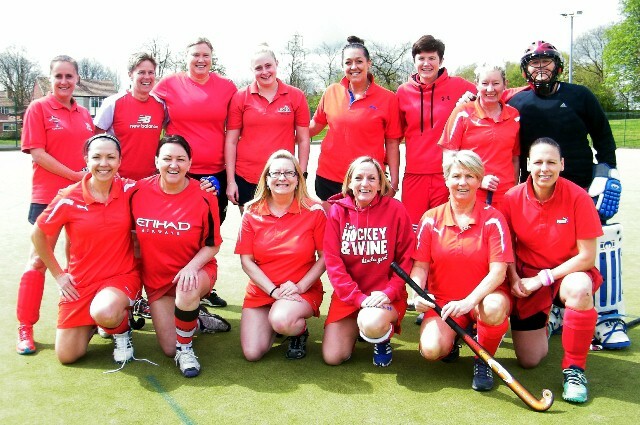 The team could not defend against the constant pressure from Eagley Quins with goals from Jill Maher and Joanne ….. to take it to 3-0 at half time. More goals came from Eagley Quins to take it to 6-0 before Eagley Tornadoes managed to dribble the ball past the Quins defence. Winner of the 2018 Davenport Cup are Eagley Quins by 6-1. On another hot day, Roydon A took part in a final but this time against league winners Seddons. Both teams struggled to score despite having many shots on goal as the keepers for both teams were kept busy and made dramatic saves. Ann Truffas from Seddons scored the first goal just before half time, with a rebound from the Roydon keeper. In the second half Justine Robinson for Seddons scored from a penalty corner and Ann Truffas scored a further goal to ensure the win for Seddons with a 3-0 score. Holders of this cup Eagley Quins were up against Little Lever B. Both teams again had chances of goal and keepers worked hard to defend the goal line, or players missed their target, so at half time neither team had managed to score. Only two minutes into the second half, Sue Booth for Eagley Quins managed to find the back of the net. There were no further goals although plenty of penalty corners for both teams. Eagley Quins retain the trophy to win 1-0.